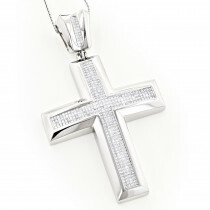 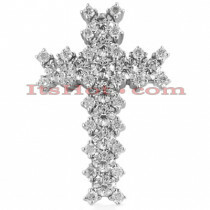 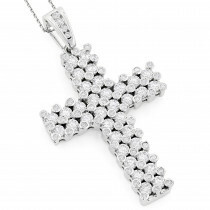 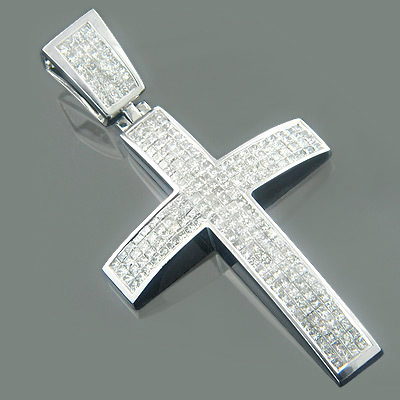 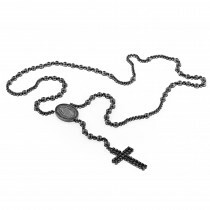 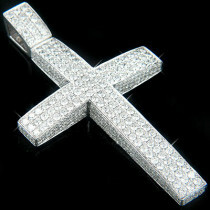 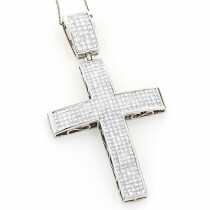 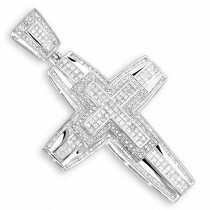 Closeout item, this mens diamond cross pendant is listed at over 80% off! 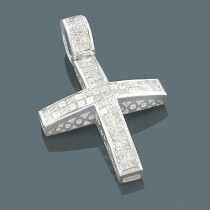 This Large Princess Cut Diamond Cross for Men is made from solid 14k white gold and is decorated with 5.95 carats of invisibly set princess cut diamonds. 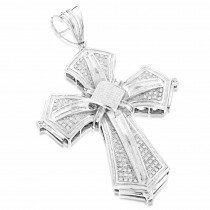 Featuring a fine gallery back, this mens diamond cross pendant will make an amazing gift and is only available in 14K white gold.